As an owner or somebody in control of a commercial building it’s your responsibility to ensure that the building adheres to health and safety standards. This means ensuring that accidents are prevented as much as possible. The washroom is a place where accidents can occur. With all that water splashing about people are likely to slip so it’s important that you minimise this risk as much as possible. Older models of hand dryers caused quite a mess but with the installation of waste water collection tanks you can say goodbye to water puddles on your washroom floor. 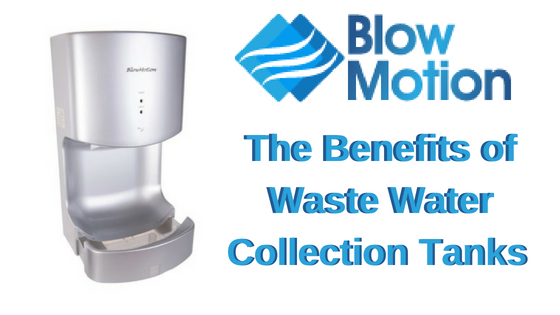 Here at Blow Motion we have hand dryers which are fitted with waste water collection tanks for safety, hygiene and convenience. Safety is always a priority in washrooms and with water flying about surfaces can become very slippery. With hand dryers such as the Ninja, Jet Blade and the Cyclone, Jet Blade the water gathers in a hidden tank rather than on the floor. Containing the water in this tank means no dripping or spillages, or accidents caused by this surface water. Put safety first by installing equipment that has clever and discreet safety measures built in. Keeping the water in these discreet tanks is also great for convenience. It can be a hassle for facility managers to constantly wipe away the excess water from hand dryers, and these tanks make this job far easier. Instead, you can wait until the tank is filled up and dispose of it quickly and efficiently. If you have multiple hand dryers in your washroom then you could save a lot of time and mess by keeping the water contained in these tanks. There’s no plumbing in required with these water collection tanks, conveniency at its best! Every part of the washroom needs to be clean and hygienic and at Blow Motion we supply only the most hygienic hand dryers. From powerful and thorough dries, to HEPA filters, Blow Motion hand dryers have lots of technology to improve hygiene. Waste water can contain bacteria so it’s important that this is kept away from contact and the hidden collection tanks allow this. 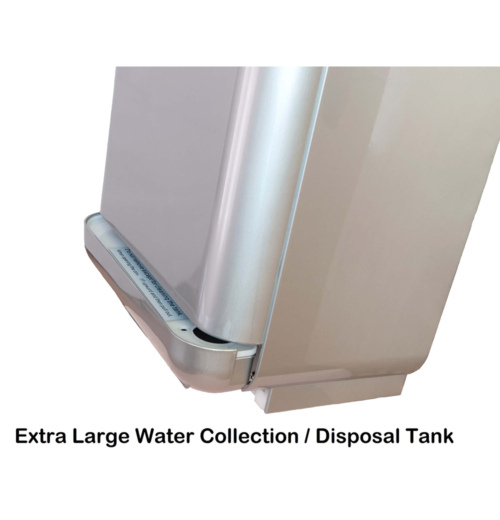 The waste water collection tanks are another piece of technology which help to improve the hygiene of hand dryers. 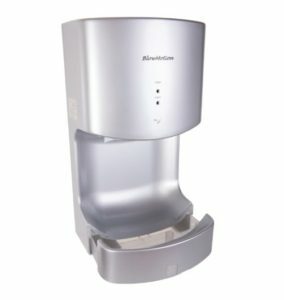 Order Hand Dryers With Water Collection Tanks Today! There are many benefits to the Ninja, Jet Blade and the Cyclone, Jet Blade, particularly the addition of a water collection tank. These particular hand dryers are convenient to use, and improve the safety and hygiene of the washroom. If you would like to order hand dryers with waste water collection tanks then simply follow the link to the checkout or call us on 0800 002 9678 to find out more. With our free next working day delivery service you’ll have them in no time!